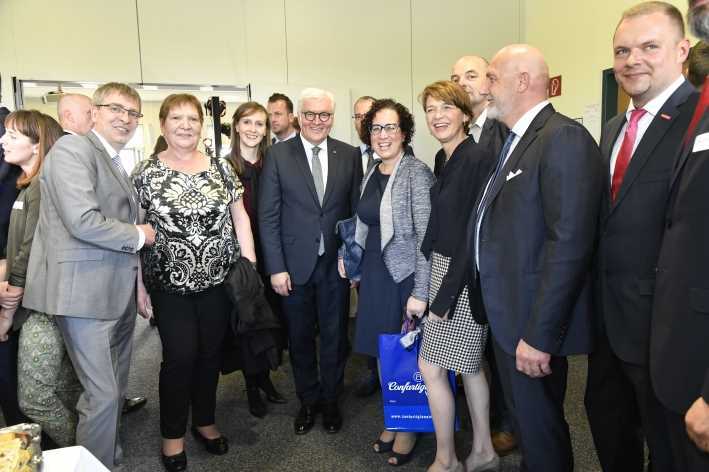 The German Federal President Frank-Walter Steinmeier welcomed the representatives of Eurocultura, Managing Director Luciana Bettin and Staff Mobility Director Alessandra Novello, in Gross Kreutz (district of Potsdam) on the 18th April 2018. 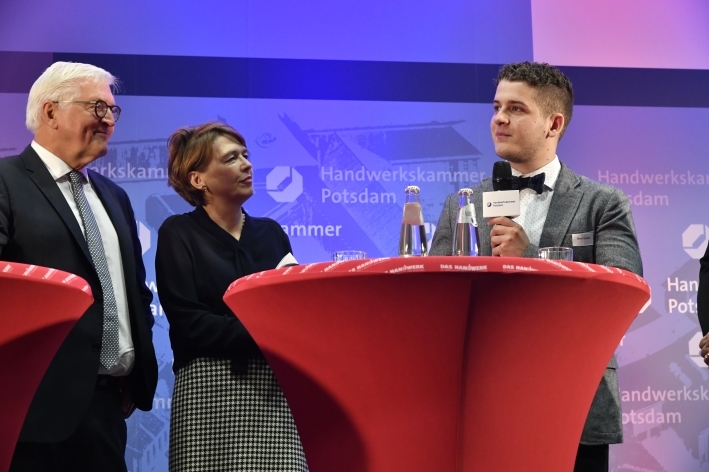 The occasion was the awarding of “Europass Mobility” to 24 trainees of the Chamber of Crafts Potsdam. Eurocultura has been a partner of the Chamber of Crafts Potsdam since 1999 and it organizes regularly traineeships in Vicenza (Italy) for grant holders from the Brandenburg chamber region. Over the course of many years of cooperation, more than 150 trainees and journeymen from many different trade areas have had a successful business and life experience in Italian “ambiente”. 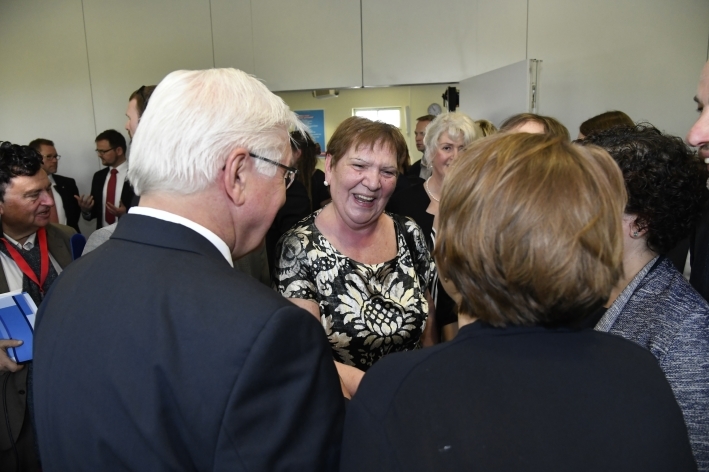 Eurocultura has been organizing mobility activities for learners and employees within European programs since 1995, such as Erasmus + and ESF. 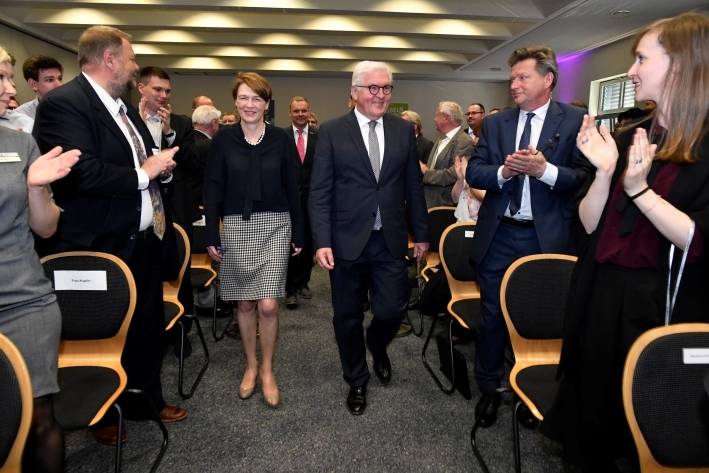 The German partners include: Network “Vocational training without borders” by German Chambers of Industry and Commerce (IHK) and Chamber of Crafts (HWK), vocational schools throughout Germany, city administrations (including Bonn, Wuppertal and Berlin), job centers, mobility agencies and free institutions.